ASP Executive Director Ranil Sorongon goes back to his roots. He was a community leader in Barangay Obrero, Iloilo City before he migrated to Manila and work at ASP. Together with Dolores “Dolly” Laudenorio, Head of the Persons with Disability Affairs Office (PDAO) Iloilo City, they met with the Social Workers from the Department of Social Welfare and Development (DSWD) Lapaz District Office in Barangay Obrero to update programs and services for PWDs as well as the implementation of RA 9442 specifically on the issuance of the PWD ID and the 20% discount last April 17, 2010. They also met with some village people, stroke victims and those with intellectual disabilities. During the informal meeting, PWDs and some families received first hand information about the Magna Carta for Persons with Disabilities and other PWD laws from Ms. Laudenorio. One woman even cried to Laudenorio in relief and expressed her gratitude for being visited and offered help, which they all badly needed. Last April 6, the President Gloria-Macapagal Arroyo signed RA 10070 into law (PDAO Law). In response, through Laudenorio, PDAO Iloilo will facilitate the acquisition of their PWD IDs, entitling them discounts in medicine, food, transportation, etc. She will also see to it that a Physical Therapist from her office will provide regular physical therapy services to the stroke victims. Click RA 9442 to know more about PWD benefits. As part of ASP’s Community Capacity Building Initiatives, Sorongon also visited the office of Handicapped International (HI) at Daroca Training Center in Arevalo, Iloilo City. He met with Mr. Jasper Rom, the Program Manager and Mr. Edward Ello, Community Organizer. The HI team is implementing a Community Based Rehabilitation (CBR) project in the Northern Towns of Iloilo and is also engaged in giving seminars and trainings on CBR in partnership with the OPDA office of Iloilo City. OPDA Iloilo City, HI and ASP is exploring the possibility of conducting an Early Detection and Early Intervention Training in Iloilo City in the near future. Sorongon met with Harold Derequito, the Head of the newly formed professional group, "Sublak sang Laum" (Sprouting of Hope). 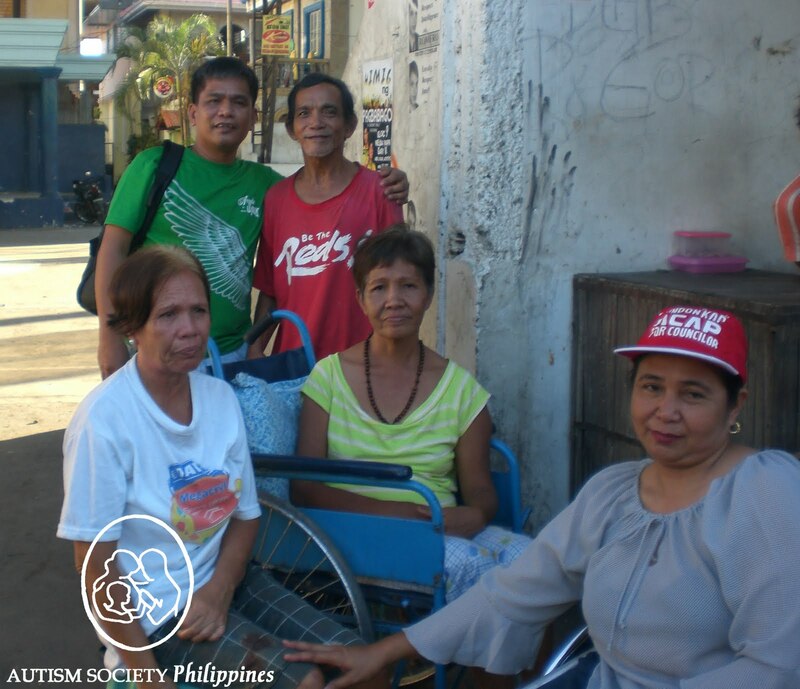 The group is composed mainly of SPED professionals that aims to advocate for the rights and welfare of PWDs in the Island of Panay. The group will also conduct information campaigns, seminars and trainings on the various disabilities. Sorongon also met with Mr. John Wigley, a British volunteer of the Associate Missionary of the Assumption (AMA) Volunteer Program who is presently working with the Philippine Blind Union, Iloilo Chapter and the Emmanuel SPED School. John is taking care of a 6 year old orphaned blind boy with autism. With ASP's assistance, the boy will be evaluated by Dr. Celina Gellada, the lone Developmental Pediatrician in Iloilo City and hopefully be brought to a residential facility in Manila to avail of the proper care and intervention.